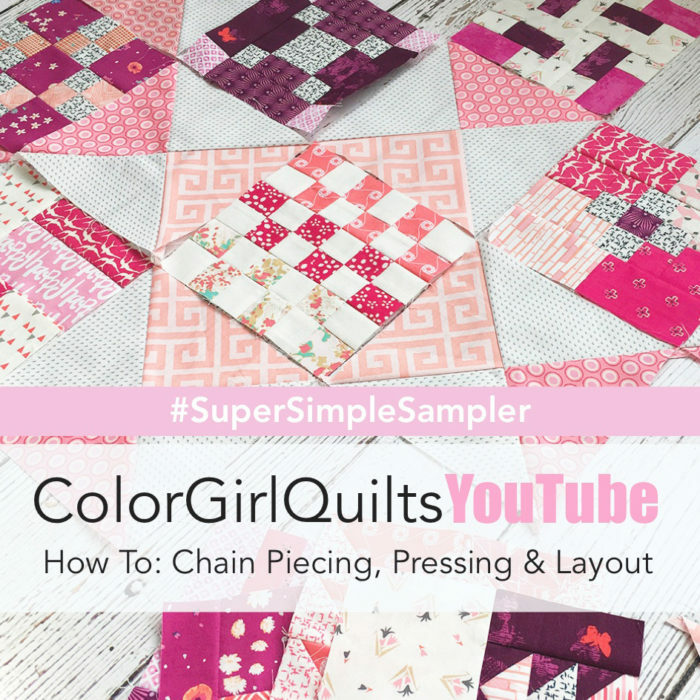 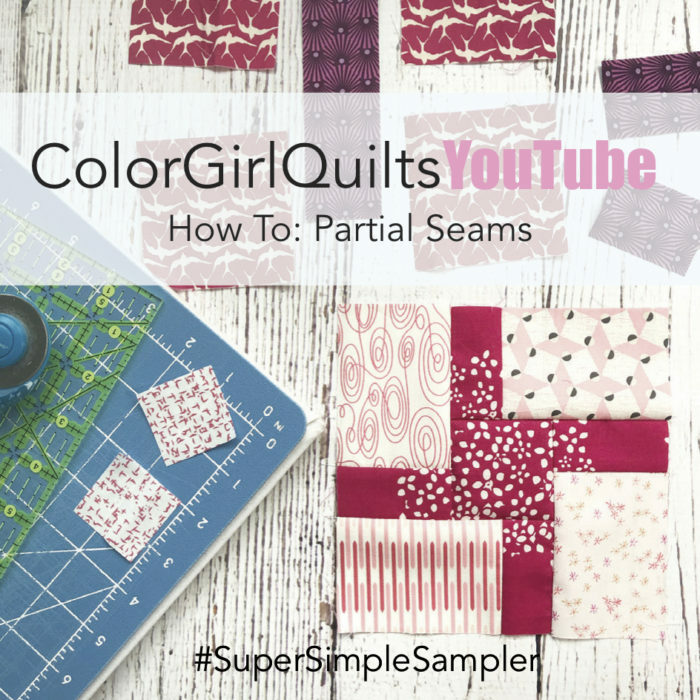 It took longer than I planned, but the complete series of Super Simple Sampler video tutorials is now up on Color Girl YouTube. 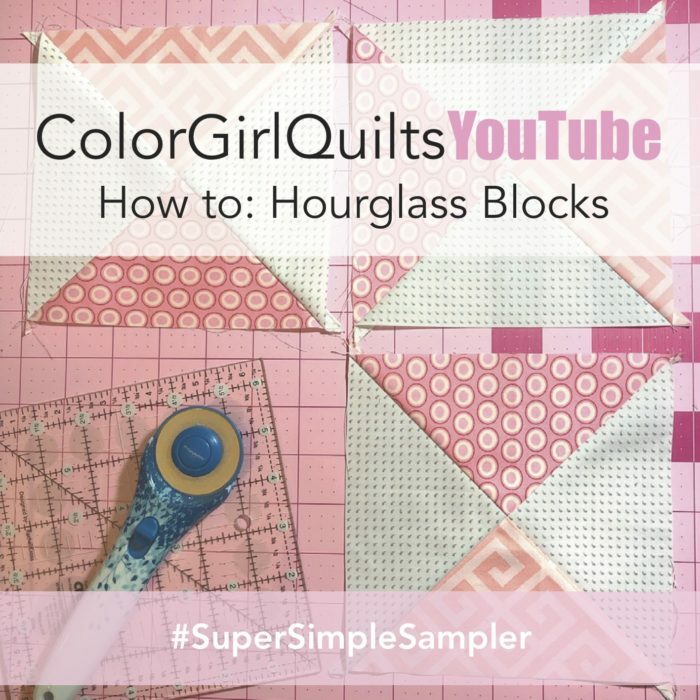 The original Sampler was made a few years ago as a monthly project, and you can still find all 36 block instructions here on the website: Click Here to go to that page. 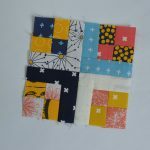 I’ve also given you two options for setting the blocks together into a finished top. 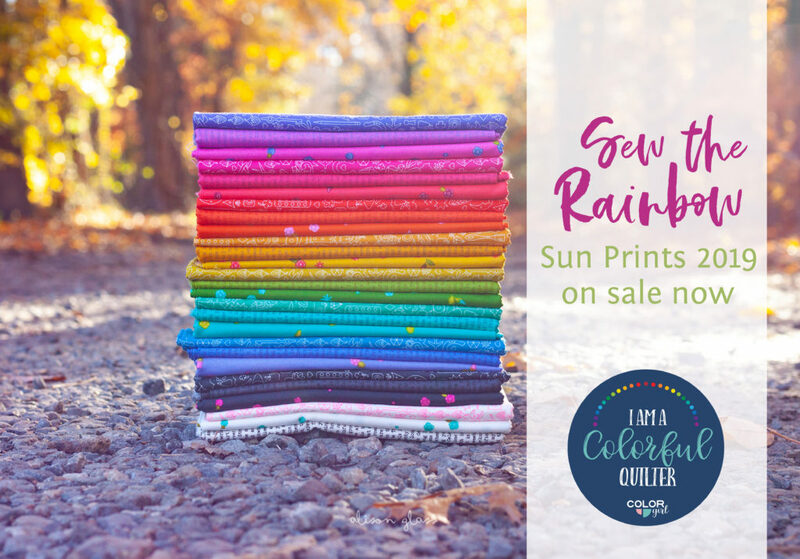 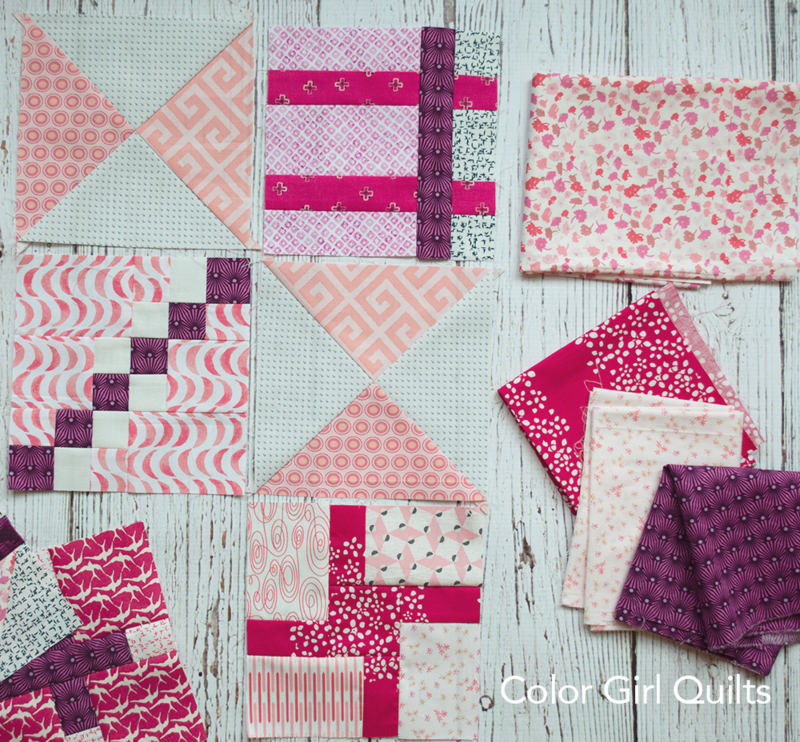 The original quilt features 72 six inch sampler blocks, 36 from the Tula Pink City Sampler book and 36 that I designed myself and show you how to sew here. 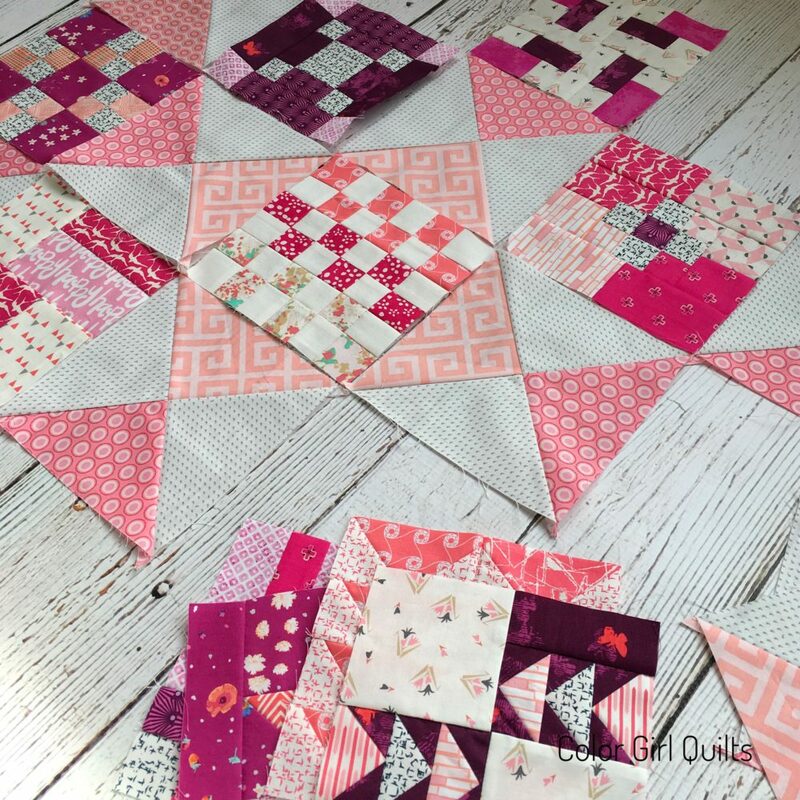 You’ll find the setting instructions (like the quilt shown above) on a series of posts you can follow <<Here>>. 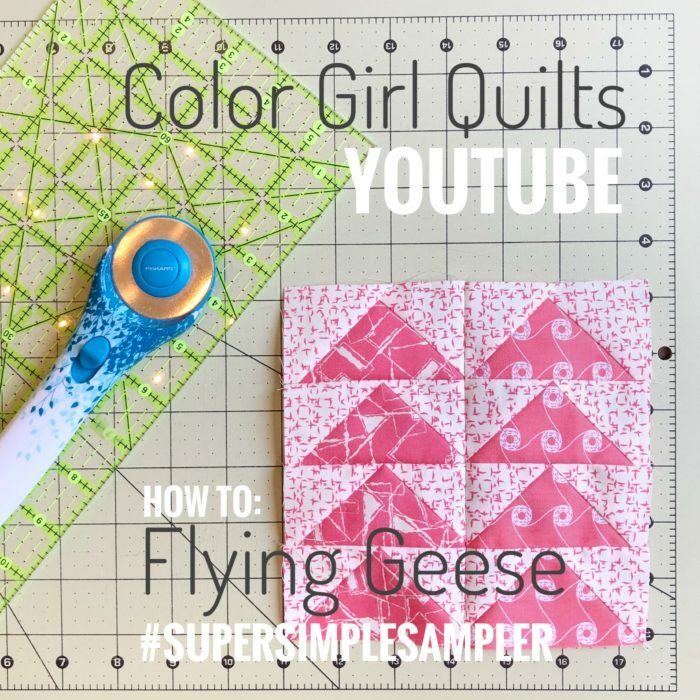 I hope you’ll subscribe to Color Girl YouTube so you’ll know when new videos are up. 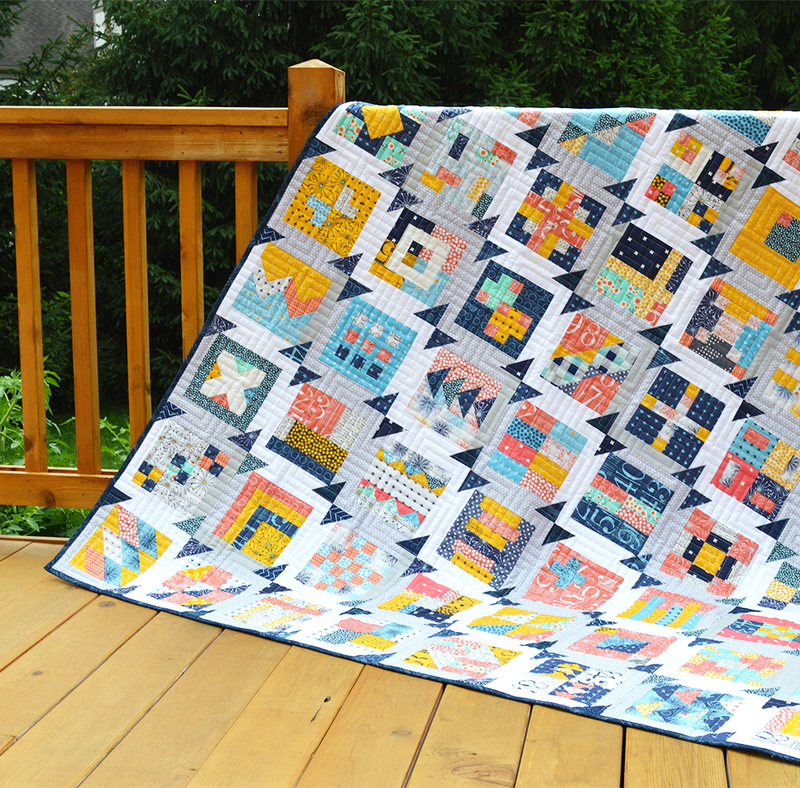 I am loving this format and plan to keep doing quilt alongs. 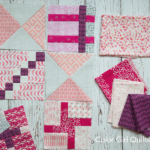 The next series I am working on features curved piecing and all about the Classic Curves Ruler. 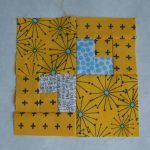 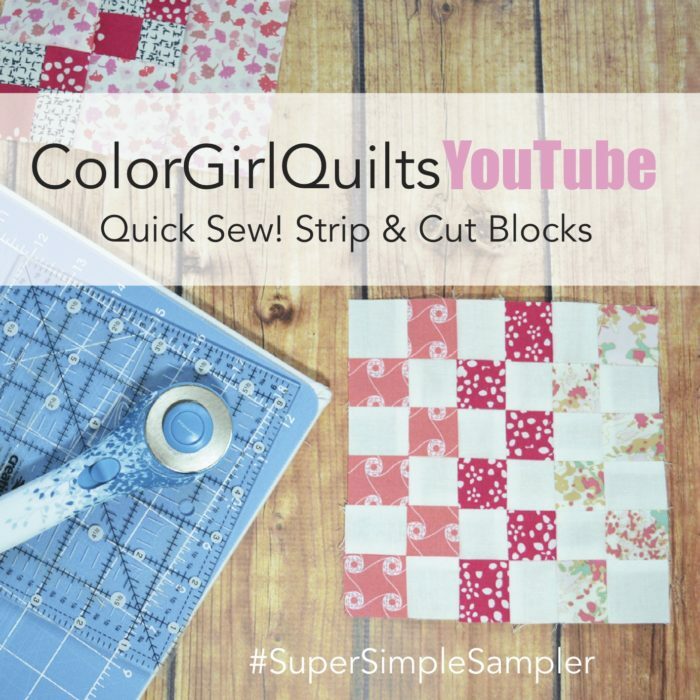 Be sure and share your Simple Sampler Quilt blocks on Instagram with #supersimplesampler or on the Color Girl Facebook page.